The photographs remain the copyright property of James Bright and are not to be sold on to anyone in any format without the advance written permission of the copyright holder. A “member” of The Whitefield Players is defined as anyone who during the course of a production from first rehearsal to closing night assisted in anyway to enable the performance to happen. For the purposes of this document, membership is only valid for the performance in which any person was involved in. 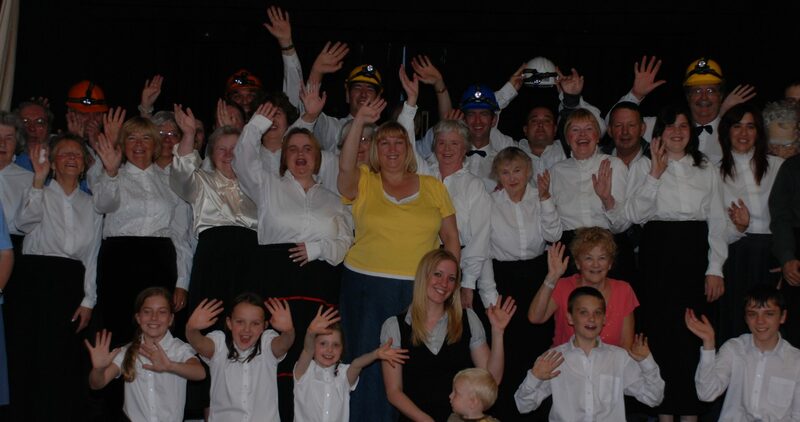 These photographs are provided to The Whitefield Players in electronic format to be included, free of charge, alongside the digital video release of the performance to which it relates on the condition that no additional charge will be sought after by The Whitefield Players or any of its agents or affiliates for this inclusion. Photographs of performances are to only be provided to members whom were a member of The Whitefield Players during the time in which they were taken and for the performance they were taken. Where photographs are included on digital media to any persons outside the defined membership of The Whitefield Players; the copyright holder grants permission to charge a fee, at the discretion of The Whitefield Players, for the digital media which contains the photographs. Any profits are to be paid in full to The Whitefield Players via the proper channels. Printed copies may be made of any of the included photographs by or for any member of The Whitefield Players, their friends or families. Prints may not be sold to members except to reimburse the cost of print to members. The copyright holder grants permission to sell on photographs to non-members as long as any profits are paid to The Whitefield Players via the proper channels. The photographs may not be reproduced in another format without the express, advance written permission of the copyright holder. The copyright holder reserves the right to change these terms at any time.